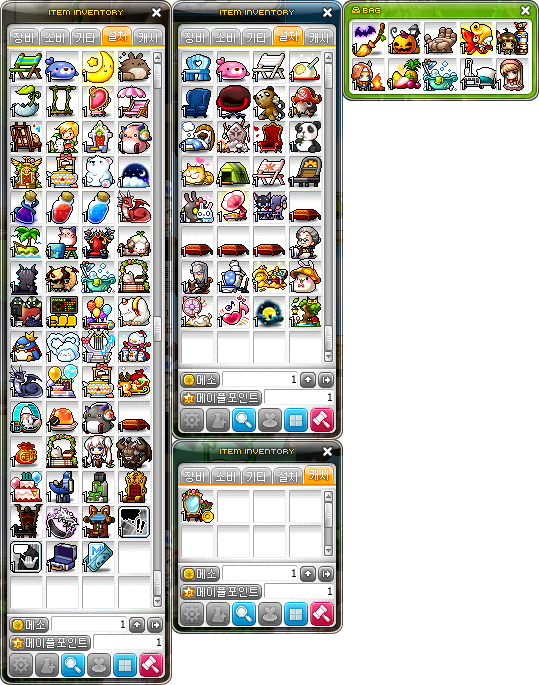 If I were you I would sell all of your chairs and have mesos to upgrade my characters. no yo twit he’s COLLECTING chairs. HE buys them. Lots of people say twit. Perhaps he’s American, I don’t believe it’s as common in America. No twit, he’s collecting them. No twit, he’s collecting them you dumbfuck. If you re-word it to “Your chair is a whore” it’d work, which may be the case with some, who knows how many people they’ve been with. I thought moon and stars cushion is untradable. So how did you get it? Well since he uses NX, maybe through gacha or something? WOW, I can only watch and wish. what will you do when you will have so many chairs you wont have space in set up tab? open a chair mule? I think I’m just gonna keep expanding my setup inventory haha, I like having all my chairs on one character. dont you need world end chair(green version of rose chair) or is it only at gms? Probably, there’s a lot of chairs though haha. Hey Max. i was wondering… how did you get started in collecting chairs? Made me think…there’s a Pink Bean Chair, a Horntail Chair, a Zakum Chair, and a Balrog Chair…why not make a Cygnus chair? What about the Hero chairs? (Evan, Aran, and Dual Blade) or are they only in gms too? Funny you say that, kMS just got the Hero Aran/Evan chairs yesterday! However, I think only Aran/Evan can get them (through the Cross Hunter storyline I hear), and they’re untradeable. Wow! Really impressive! I love your blog! Hey. Will higher levels ever get the chance to get Honorary Employee medal? I leveled past without ever doing the subway PQ. Also, in the KMST files there are two separate categories for Medal and Badge. Is there a distinct difference between the two? I don’t know if Nexon is planning to revamp cleanup, I hope so too, I need that medal! They are two different equips, so yes, lol. I don’t remember; with the new (I know it’s kinda old by now) Medal inventory, can you re-obtain dropped medals? Why do you have 1 meso? Actually, i saw people getting chairs from gachapon that were called Hospital Bed and Skull Throne. I don’t see them in your chail inventory, and also they aren’t in your ‘chairs I want’ list. Since i saw this in EMS, they might only be in EMS, or in general not in KMS. In KMS they have a seperate tab for Medals now? As in, they don’t go to your Equipment inventory anymore? I think that’s extremely useful since I can’t fit all my medals with my equips. They still do, but you can drop them and re-get them (for a fee that increases each time, capping at 1m). In KMS they have a seperate tab for Medals now? As in, they don’t go to your Equipment inventory anymore? Or it doesnt exists in KMS? except the rewards are utter crap. Great Job!!! Keep up the great work on your blog! Tip for donation medal. stay up till midnight on the last day of a mounth. then talk to dalair and donate a few mesos as fast as u can to get the medals. you might not keep them but they will show up in ur medal inventory. What about the ice chair??? dang we’re missing a lot of chairs. Well that does make it easier to get them all XD. I collect some weird stuff in maple. Like i have never trashed an event item on one of my characters, and on my other i have every “sword” item from each of my beginners. but I DO have more than 1 meso. although i hear people talking about having 2bil, so, I guess it’s not much either. What about the Cygnus Knights chair? Or the Red Relaxer? What about the Cygnus Knights’ chair or the Red Relaxer. How did you obtain Edestein/Resistance chair AND the Green Relaxer. The Resistance Chair is actually tradeable haha. now that u can get ur 4th moon bunny cushion have u got it yet? wooden tub chair is available in kms ???? What’s the chair to the right of the Pink Bean chair? The Oh My Empress chair. Do the mecha xhaits exist in KMS? Can you show your equips? well we all know whose the prime target of getting hacked now….. all those chairs…. wow. how do you get the resistance chair on a non-resistance character??? Second. You need. To. Give. Me. Some. of. Those. Do you have the Dunas chair in KMS, or is that just for GMS? Gosh, you must be super rich. How many of those chairs did you buy (and how much did it cost you if you remember)? By the way, does KMS have collector medals (the ones you get for collecting monster cards)? Haha, I cannot remember, but chairs in kMS are relatively cheap, so I’m sure it was a total under 500m! 5.The system will have Celebrity Medal in your medal list. 6.ReIssue Celeb Medal and TADA! Good luck on collecting the medals/chairs you needed! Basically the first medal u got was in 2009 so i guess u started maple in 2009? Lol you have so much things and 1 meso XD! …or do you keep in storage? what is the patch after AZWAN???? when come pq etc bag!!! …………………………….the word twit hasnt been used in america, since we were the britich colonies. Yes, no certified American has EVER uttered the word twit since that fateful day on July 4, 1776. In fact, I think the founding fathers made it illegal. Its just that it was written into the constitution with print so fine, that the people who copied it down didn’t notice it, and it has since fallen under the unwritten rules column, even though it should be OBVIOUS that the original constitution forbids it. Whats the total value on all those chairs combined? Max, Do you have the balrog medal? It doesn’t show up in the medal’s tab, but it’s still a very nice one to have. Please update your chair collection. how about the red relaxer??? u dont have the hospital chair/bed? Where is your golden/yellow seal chair? Max have you gotten the Splitscreen Magnus chair yet? or the Robo Roo chair? Please update your chair collection! I like to see what new chair been release in KMS since I am an avid chair collector in GMS. Do you play in Bera? I am a chair collector. I have close to 150-200 chairs. Lots of new chairs and lots of old ones. I’m also selling a Cherry Blossoms Chair. Nope, I play in Khaini. That should be…100 chairs? Wow. That’s really good. Keep at it! When are you going to update this page?